We all love to travel, and around the holidays, travel is more common as people make their way to family gatherings or far-flung destinations for a well-deserved break. But while we might love a good trip, our skin has a tendency to disagree. Many travellers experience a few negative effects on their skin as they travel to or arrive at another destination. Breakouts, dryness, and oiliness are all common (and unfortunate) side effects. Have no fear! 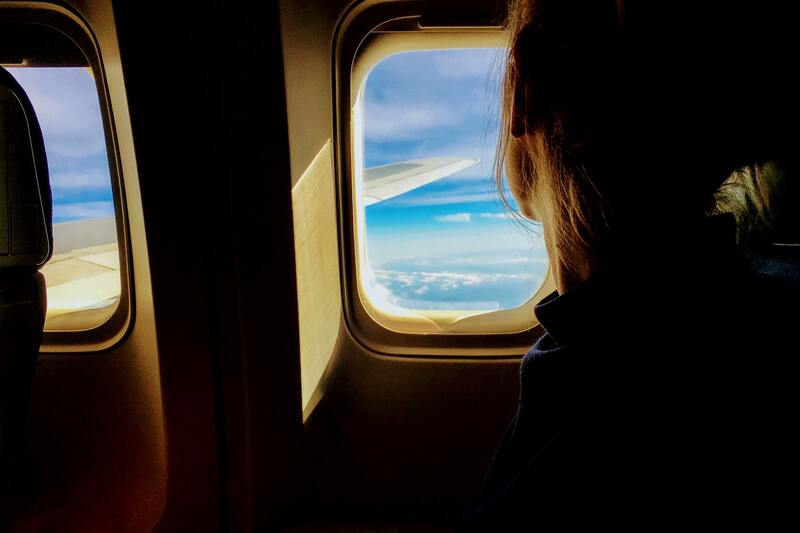 Don’t cancel your travel plans this holiday season, here are some tips, tricks, and information about what your skin might be breaking out when you travel, and a few ways to avoid it. What Happens to Skin When We Travel? When we live in a single location, our skin becomes accustomed to that climate. Our skin adapts to pollutants that are common there, the temperature that is prevalent, and any other weather conditions that might be present. This means that any change in that day to day atmosphere in which our skin exists can cause a reaction in your skin. When you travel, your skin is exposed to an entirely different set of circumstances and therefore may react negatively. A good example of this is if you live in a drier climate, such as Ottawa, then travel to a more humid climate like Vancouver for a short Christmas vacation. Your skin may become dry, irritated, tight, and uncomfortable because of the change of moisture in the air. On top of changes in your physical environment, changes in your psychological environment can also cause irritation and breakouts and changes in your skin. Some common issues that people face when traveling are dry skin, breakouts, dehydrated skin, excess oil, tightness, and other irritation. These issues can happen independently of one another or can happen all at once, making travel stressful for many people. Your skin issues can be caused by a huge range of factors when you travel. Things like changes in climate, changes in environment, stress, cabin pressure, the thinness of air in airplanes, lack of water, and more can all lead to changes in the skin. It is not uncommon for your diet to fluctuate greatly when you travel as well. Odds are you are going to be eating out more, eating foods you may not be used to, and eating foods that may cause irritation to your skin. You may also be exposed to different detergents in your sheets where you sleep, different environmental pollutants, and more. These are all issues to look out for and if you are experiencing breakouts you may be able to pinpoint the issue with a simple process of elimination. These changes can be small or large, their effect is truly unique to each person. While one person may be able to eat whatever they want and never have an issue with skin, another may have severe breakouts from a simple change in diet. The best way to address breakouts and get to their cause is to eliminate things that have changed to see just what caused the problem. There are a few different ways that you can take care of breakouts before they ever even start. Knowing how to prepare your skin for travel and how to take care of these problems before they truly get out of hand is one of the best ways to protect your skin while travelling. Water – Our bodies are made up of 97% water, and yet it’s remarkably easy to get dehydrated. Drinking enough water can help keep skin hydrated and healthy, and can keep your skin plump and supple while travelling. It also helps to flush out impurities and keep your skin balanced and clear. Rest – This is also essential and can help reduce stress and can help to keep your skin balanced as well. Rest will also help you remain calm and is also going to help you keep your skin glowing. Limit Makeup – You do not need makeup when travelling. Avoiding makeup while you are en route can help keep pores clear and clean and can keep breakouts to a minimum. Moisturizer – This is essential! Dehydrated skin is more likely to break out and is more likely to have an issue than skin that has enough moisturizer. Sun Protection – Christmas in a tropical destination, anyone? If you are going to be in the sun, you want to make sure your skin is protected from harmful UV rays. This is going to help protect skin from signs of ageing, as well. Maintain Your Routine – You need to make sure you are not trying any new skincare products or routines as this can aggravate your skin as well. Using products you are used to is a great way to keep skin clear when travelling. If you are experiencing breakouts, skin treatments like a chemical peel or skin rejuvenation can help to remove the top layer of skin that is irritated to allow for healing and for new skin to grow. The best skin rejuvenation treatment can help you to reveal healthy skin that is not bothered by travelling. If you are experiencing issues with your skin from travelling, SKINS Derma Care offers a range of treatments to both prepare your skin for travel and help to rejuvenate it after travelling. These treatments are going to help reveal healthy skin and get you looking and feeling great again.